For most first home buyers, the decision to buy a house leads them on a steep learning curve. The world of property, real estate and home loans presents a whole new set of skills and knowledge. As you begin the process of buying a house the questions come thick and fast. Equipping yourself with all the answers becomes an essential part of landing your dream house and a home loan that works for you. We’ve rounded out the top 10 frequently asked questions to give you the know-how edge when buying a house. 1. How should I determine my budget? A budget is vital when it comes to buying a house, but how should you determine your budget? A comprehensive budget should consider your income and all expenses including any repayments, insurance, household costs such as groceries and bills, personal expenses like clothing, as well as other expenses such as entertainment and holidays. It may seem overwhelming to think of all your expenses weekly, monthly and annually, then calculate an overall figure. The good news is, our free online budget planner simplifies the process by doing it for you! All you need to do is follow the prompts and input your relevant income and expenses. Choose whether they are weekly, fortnightly, monthly or annual expenses and our calculator will do the rest. This will give you an idea of how much you are saving and where you may be able to cut costs in order to reach your goal. We’ve made this planner as comprehensive as possible, so some details won’t apply to you, but if it’s a likely expense you can be sure we haven’t missed it! 2. Can I calculate how much I can borrow? Perhaps the most important question for buyers is “how much can I borrow?”. Knowing how much you can borrow will give you a clear picture of what you can and can’t afford and is essential before you start house hunting seriously. The question is, how do you know how much you can borrow? Once you know your income and expenses you can easily calculate how much you can borrow using our home loan calculator. Our home loan calculator is a free, online tool that provides you with an estimate of how much you can borrow as well as your likely monthly repayments. Using the home loan calculator is easy, just provide a few details including home loan rates and home loan term, along with your annual income and monthly expenses. 3. What is the best home loan? Buyers frequently ask this question, and there is no simple answer. The best home loan will be the home loan that suits your needs and helps you to achieve your goals. Choosing a home loan based on your personal circumstances is a sure way to get the best home loan. Choosing a home loan because it has been heralded as a ‘good’ home loan, or one with that advertises the best home loan rates, doesn’t necessarily mean that it will be the best home loan for you. Speak to our dedicated Lending Specialists after you Apply Online to determine the right loan for your needs based on the information provided. 4. How can I find the best deals available? Finding the best home loan deals will require a little research and home loan comparison. Compare home loan lenders as well as the different home loans that each lender is offering. When comparing home loan rates, you should look to the comparison rate rather than the interest rate to give you an accurate picture of the best home loan rates. This is because the comparison rate accounts for the fees and charges associated with the home loan. A home loan with a low interest rate may seem like the best deal, but if the fees and charges are high, it can quickly outweigh the savings of a low interest rate. Most lenders will allow you to easily make a home loan comparison online. At Mortgage House, our Best Rate Mortgage Calculator will give you a list of the best home loan rates and options, ranging from the lowest home loan rates available to you. 5. What are the best home loans? The best home loans are those home loans that meet your needs. There’s no use in potentially paying for a feature you won’t use. Look for features that will benefit you such as an offset account, loan portability and flexible repayments. 6. What are building inspections? Building inspections should take place before you buy a property. A building inspection completed by a trained professional can uncover any structural issues or defects that aren’t visible to the naked eye. In addition to structural issues, the trained professional can assess the overall condition of the property including any water damage, cracking as a result of moving walls and how any issues will affect the property long term. You will be provided with a building inspection report which will be useful when negotiating on a purchase price. While a building inspection is not required, it is certainly a wise decision. The upfront cost of a building inspection could save you thousands of dollars down the track if you end up purchasing a property with significant building defects unbeknown to you at the time. 7. 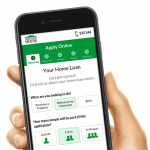 How do I get approval for my home loan? When you have found the right property and agreed upon a purchase price with the seller, you will need to arrange full approval (or formal approval) of your home loan. Your conveyancer or solicitor should provide a copy of the contract with the agreed price to your lending officer, who will then arrange a property valuation. Valuations normally take five business days and are required to get approval for your home loan. You must complete a formal home loan application and provide all necessary documentation, which you can do easily online. Documentation will include proof of ID, pay-slips, bank statements, details of savings and other debts you may have. Your lender will review these documents and make an assessment on how much you can borrow and your likely repayments before approval is given. You will receive an official welcome letter to approve all the details of your loan, including the amount, loan account details and repayment dates. A conveyancer or solicitor can help you review your loan documents and ensure all funds are transferred accordingly at the time of settlement. 8. When should I make an offer? If you’ve found the right house then it could be time to make an offer, but before you throw all your cards on the table we can provide you with a property report to give insight into the property’s location, past selling prices and other properties in the area. This information could be invaluable when it comes to making the right offer, so it’s recommended to read this report before you make an offer. It’s a good idea to arrange a building inspection before you make an offer too as this could significantly affect how much you are willing to pay for the property, particularly if there are underlying structural issues or defects. When you’re satisfied it’s the right property and you have all the relevant information regarding the property, you’re ready to make a formal offer. 9. How do I make an offer? Making an offer on a property is relatively straightforward and is a matter of simply calling the agent and verbally putting forward how much you are willing to pay. From here, negotiations begin, and a seller may come back with a counter offer. If you wish to formalise your offer you can put it in writing. If you’re not sure how much to offer, then speak with your Lending Specialist who can advise how much to offer based on the property information and your circumstances. When a purchase price is agreed upon it will be written into the contract of sale before the contracts are exchanged. 10. What is the pre-purchase legal legwork involved? There is a significant amount of pre-purchase legal legwork involved in buying a house. The legalities of buying a house can be complicated and if not undertaken correctly can be costly. It is therefore helpful to engage the services of a conveyancer or solicitor who can perform this work for you. A professional conveyancer or solicitor is experienced in this pre-purchase legal legwork and can ensure buying your house is an easy process. At Mortgage House, we are no stranger to the homeowner’s journey. It’s a long (but rewarding) one. 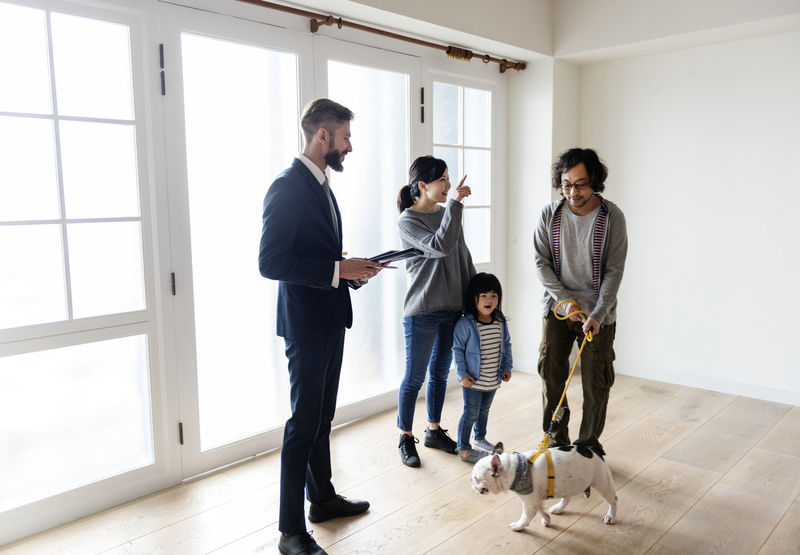 There are many questions that arise when starting the home buying process, which is why we have a whole website dedicated to helping you find what you need. Our Lending Specialists are also on hand to help you through your application and beyond. Contact us to get started today!